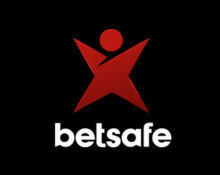 Betsafe – Weekly Leaderboard Race! Spin for weekly bonus prizes! Race in 3 weekly races for big bonus prizes! Three weeks, three games, three leader boards. Thrilling tournament weeks at Betsafe. Hit achievements on the selected games to score points and grab a share of the weekly €10K leader boards. This week, race to first place and a €400 bonus by spinning and hitting achievements on the amazing Moon Princess slot from Play’n GO. Best part is, there are Free Spins up for grabs for everyone and on top there’s another game with another leader board next week. Take part in three weekly races at Betsafe, compete against your fellow players and secure a share of the weekly €10K prize pool in bonus money. Each week, Betsafe has chosen one slot from Play’n GO on which players will have to hit selected achievements to score points towards the leader board, which is updated daily. The TOP100 at the end of each race will share the prize pot. Additionally, everyone wagering on the selected game will receive Free Spins. The TOP100 of each race will win a bonus prize ranging from €40 – €400. 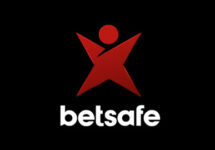 Wagering requirement is 35x bonus amount within seven days, subject to the Betsafe bonus policy. Not a big spinner? You could still be a big winner! The first €10 wagered on the weekly game will be instantly rewarded with 25 Free Spins on Emoji Planet™. Winnings carry a 35x wagering requirement within three days.